Venture Custom Pools designs and builds backyard retreats for families that recognize craftsmanship and the distinction of a truly custom swimming pool. As a third-generation pool builder with more than 60 years’ experience crafting amazing backyard retreats, Venture Custom Pools has been the North Texas pool builder of choice for thousands of families. If you are looking to invest in a quality custom swimming pool or backyard retreat in Frisco, Plano, or anywhere in the DFW Metroplex, build one that will stand the test of time, as well as provide sound financial and quality of life returns. 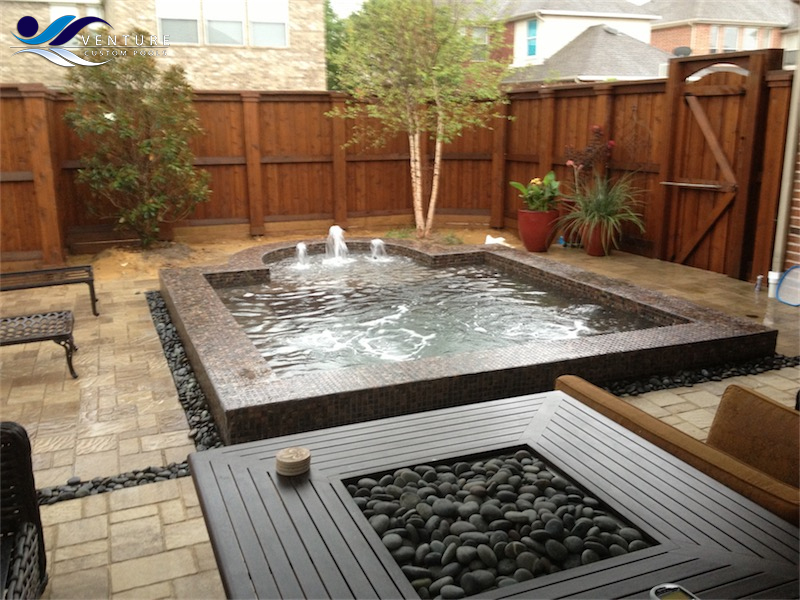 Since 1999, Venture Custom Pools has been a top-5 swimming pool builder in North Texas. Family owned and operated, and with more than 30 years of success in the swimming pool building business, our longevity is proof of our dedication to excellence. We are one of the only custom pool builders in the Dallas area that owns our own building. With strong financials and a reputable brand, we are here to stay. Operating at a 97% customer satisfaction rate, we know the DFW area and are dedicated to improving the quality of life for our neighbors and the local community. Venture Custom Pools is covered by a $2 million public liability and property damage insurance policy, just in case. It is important to always choose a swimming pool company that has at least $1 million in public liability and property damage insurance.